Only 2 LT Trail Boss models left in stock! LT CREW!! LEATHER!! ADVANCED TRAILERING PACKAGE!! 20 INCH RIMS!! SPRAY-ON BEDLINER!! TUBULAR SIDE STEPS!! COLOR TOUCH SCREEN!! 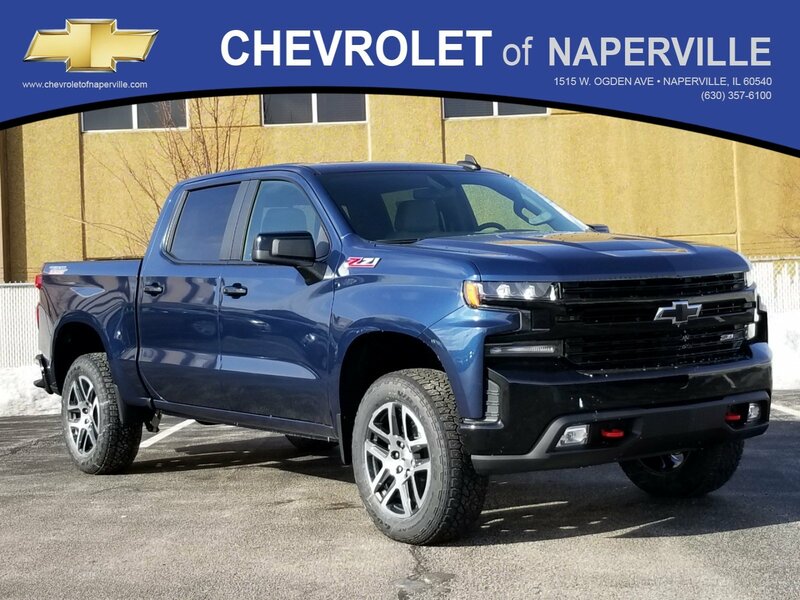 2019 CHEVROLET SILVERADO 4WD RST CREW CAB, NORTHSKY BLUE METALLIC ON GIDEON / VERY DARK ATMOSPHERE HEATED LEATHER SEATING, BLACK BOWTIE EMBLEMS!! 5.3L ECOTEC3 V8 ENGINE UNDER THE HOOD, 8-SPD AUTOMATIC TRANSMISSION, MOLDED SPLASH GUARDS, TRAILER BRAKE CONTROLLER, TRAILERING PACKAGE INCLUDES: TRAILER HITCH, AND STORAGE PACKAGE IN REAR BACK SEATS, 3.23 REAR AXLE, NOW…LETS GO OVER ALL THE OPTIONS ON THIS BAD BOY!! CONVENIENCE PACKAGE INCLUDING: DUAL -ZONE CLIMATE CONTROL, 10-WAY POWER DRIVER SEAT WITH LUMBAR, HEATED DRIVER AND PASSENGER SEATING, HEATED LEATHER WRAPPED STEERING WHEEL, TILT AND TELESCOPIC STEERING WHEEL, POWER SLIDING REAR WINDOW WITH REAR DEFOGGER, 2ND ROW USB PORTS, AND AUTO LOCKING REAR DIFFERENTIAL, 20 INCH PAINTED ALUMINUM WHEELS, REAR WHEELHOUSE LINERS, ALL-WEATHER FLOOR LINERS, AND CHEVYTEC SPRAY-ON BEDLINER…REAR VISION CAMERA, BLACK RECOVERY HOOKS, FRONT AND REAR PARK ASSIST, FRONT LED FOG LAMPS, LANE CHANGE ALERT WITH SIDE BLIND ZONE ALERT, REMOTE STARTER, UNDER SEAT STORAGE ADVANCED TRAILER PACKAGE INCLUDING: HITCH GUIDANCE WITH HITCH VIEW, ADVANCED TRAILERING SYSTEM, TRAILER TIRE PRESSURE MONITOR SYSTEM… LADIES AND GENTS THIS ONE IS ALL LOADED UP AND READY TO GO TO WORK FOR YOU!! NOW…HOW ABOUT SOME GM WARRANTY….YOU GET A FULL 36 MONTH OR 36,000 MILE BUMPER TO BUMPER COVERAGE, PLUS 5 YEAR OR 60,000 MILES ON THE POWERTRAIN, PEACE OF MIND DRIVING…ALL ABOARD!! 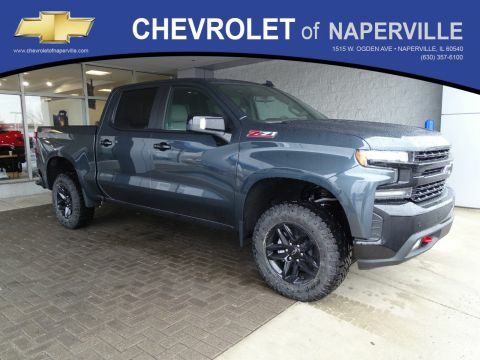 ONLY THING LEFT FOR YOU TO DO IS COME ON DOWN TO CHEVROLET OF NAPERVILLE AND TAKE THIS RST FOR A SPIN AROUND OUR WORLD CLASS CHEVROLET OF NAPERVILLE TEST TRACK!! FIRST ONE HERE WINS…SEE YA SOON…FIND NEW ROADS HERE AT CHEVROLET OF NAPERVILLE!! Price includes all rebates in lieu of special financing their may be other rebates that you qualify for. Please call $1,000 – GM Chicago Auto Show Bonus Cash Program. Exp. 02/28/2019 SEE DEALER FOR DETAILS. Price includes all rebates in lieu of special financing their may be other rebates that you qualify for. Please call $2,000 – Chevrolet Conquest Purchase Private Offer. Exp. 04/30/2019 Must finance through General Motors Finance. LT CREW!! LEATHER!! ADVANCED TRAILERING PACKAGE!! 20 INCH RIMS!! SPRAY-ON BEDLINER!! TUBULAR SIDE STEPS!! COLOR TOUCH SCREEN!! 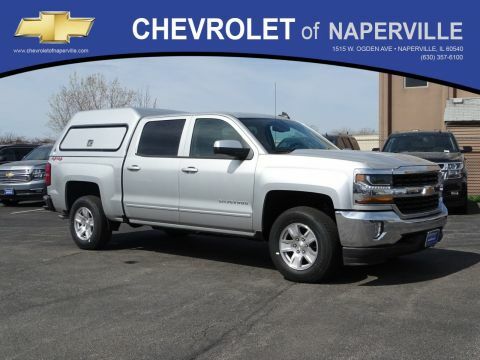 2019 CHEVROLET SILVERADO 4WD RST CREW CAB, NORTHSKY BLUE METALLIC ON GIDEON / VERY DARK ATMOSPHERE HEATED LEATHER SEATING, BLACK BOWTIE EMBLEMS!! 5.3L ECOTEC3 V8 ENGINE UNDER THE HOOD, 8-SPD AUTOMATIC TRANSMISSION, MOLDED SPLASH GUARDS, TRAILER BRAKE CONTROLLER, TRAILERING PACKAGE INCLUDES: TRAILER HITCH, AND STORAGE PACKAGE IN REAR BACK SEATS, 3.23 REAR AXLE, NOW...LETS GO OVER ALL THE OPTIONS ON THIS BAD BOY!! CONVENIENCE PACKAGE INCLUDING: DUAL -ZONE CLIMATE CONTROL, 10-WAY POWER DRIVER SEAT WITH LUMBAR, HEATED DRIVER AND PASSENGER SEATING, HEATED LEATHER WRAPPED STEERING WHEEL, TILT AND TELESCOPIC STEERING WHEEL, POWER SLIDING REAR WINDOW WITH REAR DEFOGGER, 2ND ROW USB PORTS, AND AUTO LOCKING REAR DIFFERENTIAL, 20 INCH PAINTED ALUMINUM WHEELS, REAR WHEELHOUSE LINERS, ALL-WEATHER FLOOR LINERS, AND CHEVYTEC SPRAY-ON BEDLINER...REAR VISION CAMERA, BLACK RECOVERY HOOKS, FRONT AND REAR PARK ASSIST, FRONT LED FOG LAMPS, LANE CHANGE ALERT WITH SIDE BLIND ZONE ALERT, REMOTE STARTER, UNDER SEAT STORAGE ADVANCED TRAILER PACKAGE INCLUDING: HITCH GUIDANCE WITH HITCH VIEW, ADVANCED TRAILERING SYSTEM, TRAILER TIRE PRESSURE MONITOR SYSTEM... LADIES AND GENTS THIS ONE IS ALL LOADED UP AND READY TO GO TO WORK FOR YOU!! NOW...HOW ABOUT SOME GM WARRANTY....YOU GET A FULL 36 MONTH OR 36,000 MILE BUMPER TO BUMPER COVERAGE, PLUS 5 YEAR OR 60,000 MILES ON THE POWERTRAIN, PEACE OF MIND DRIVING...ALL ABOARD!! 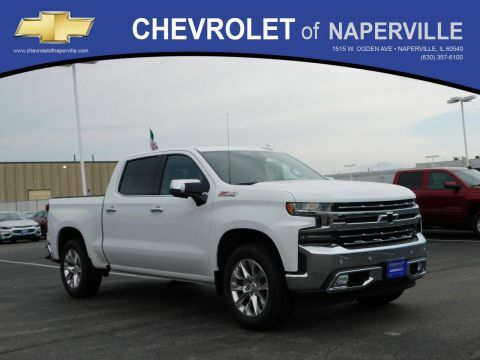 ONLY THING LEFT FOR YOU TO DO IS COME ON DOWN TO CHEVROLET OF NAPERVILLE AND TAKE THIS RST FOR A SPIN AROUND OUR WORLD CLASS CHEVROLET OF NAPERVILLE TEST TRACK!! FIRST ONE HERE WINS...SEE YA SOON...FIND NEW ROADS HERE AT CHEVROLET OF NAPERVILLE!! Price includes all rebates in lieu of special financing their may be other rebates that you qualify for. Please call $1,000 - GM Chicago Auto Show Bonus Cash Program. Exp. 02/28/2019 SEE DEALER FOR DETAILS. Price includes all rebates in lieu of special financing their may be other rebates that you qualify for. Please call $2,000 - Chevrolet Conquest Purchase Private Offer. Exp. 04/30/2019 Must finance through General Motors Finance.